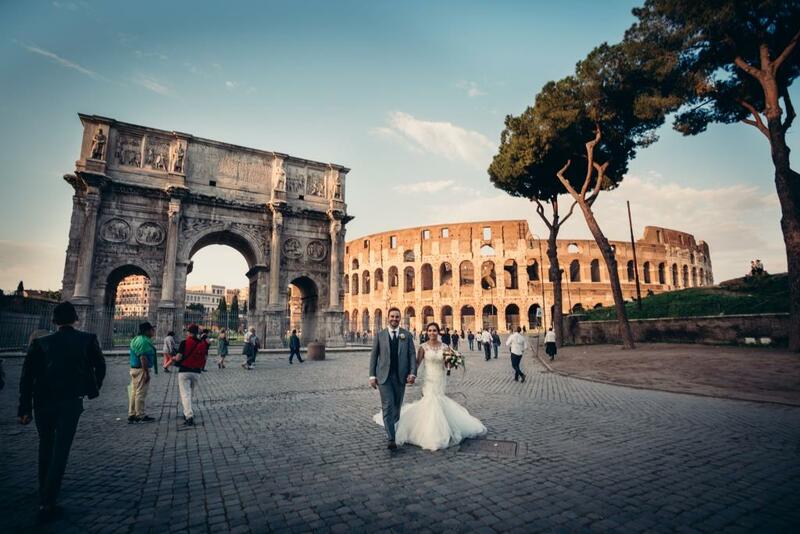 Rome is more than a fascinating European capital city; it is a spectacular encyclopedia of living history. It has been said that all roads lead to Rome. The city is vast, although the historic centre is quite small. The whole experience of Rome is so powerful as to be almost overwhelming at times. Visit Vatican City, a independent city-state located entirely within Rome. 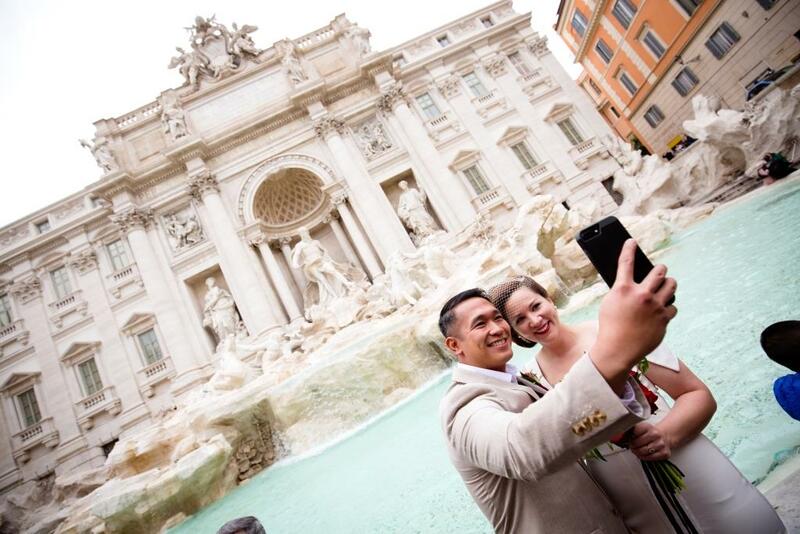 Tours of Rome are plentiful and often based on themes of history, food and wine, art, and religion. 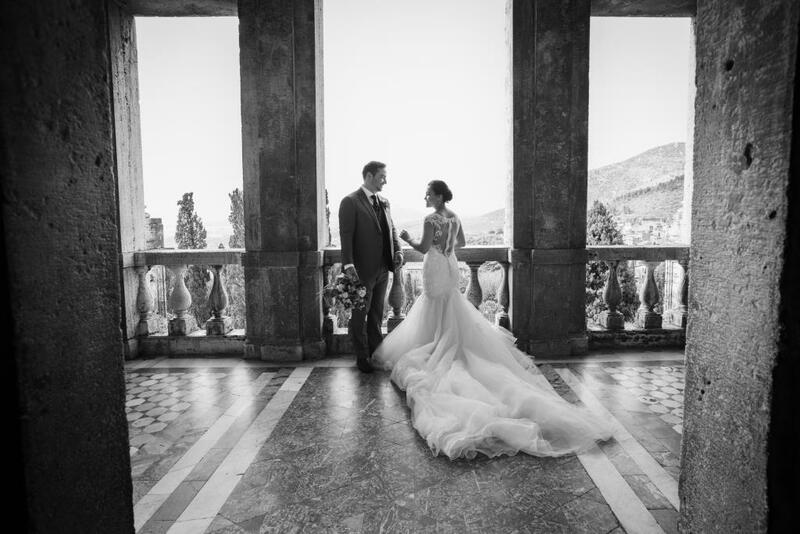 Simplicity, elegance, love, charm: all in one day…. 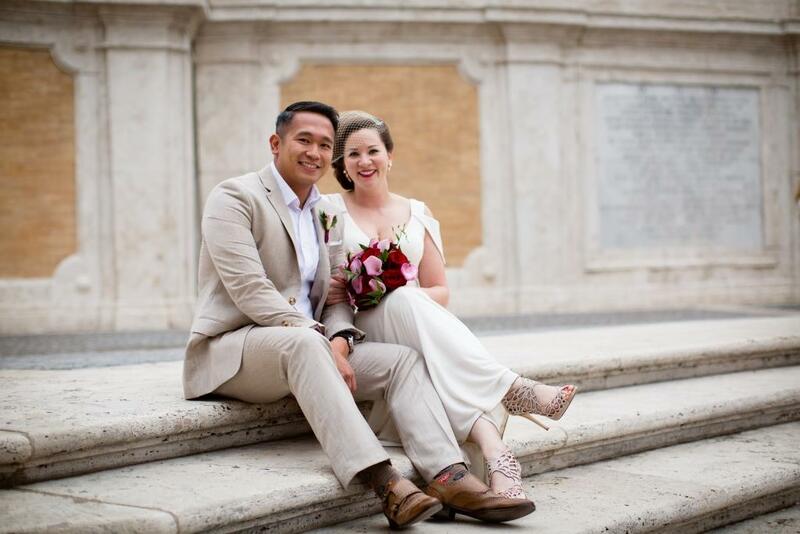 Rome is amazing and there you can experience all those things to make your wedding unique and unforgettable! 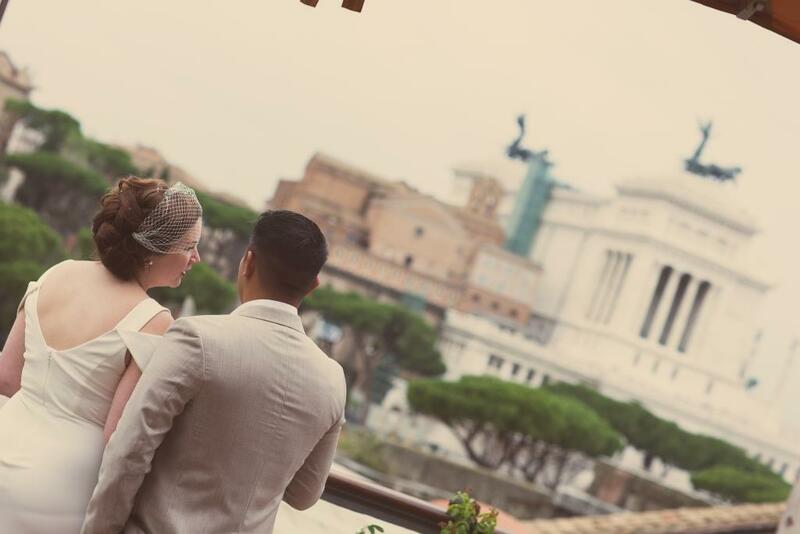 Civil ceremonies can be held in different beautiful locations as well as catholic and symbolic ceremonies : we’ll be happy to personally research the best option for your unforgettable wedding in Rome! Do you like those bouquets? They are us who made them. 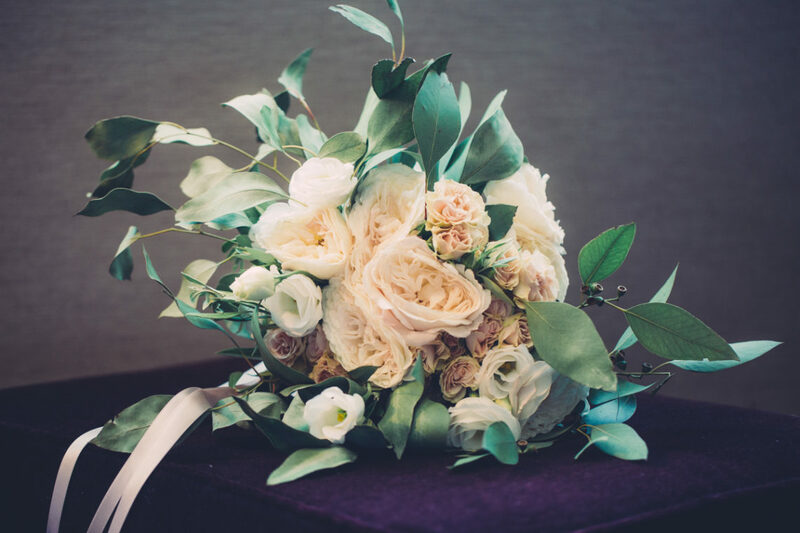 Floral decorations are only one of our specialties. 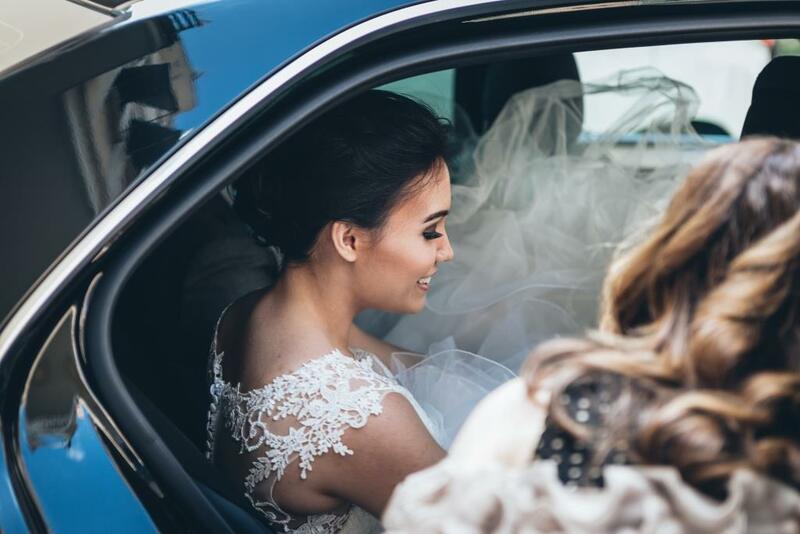 If you decide to organize your wedding with us, we will put the utmost attention into every detail of our services, in order to assure you care and attention to your needs. Roma is a wonderful place, full of monuments, churches, villas and terraces. If you decide to get married in this fantastic city the only problem you can have is to be spoilt for choice! We have terrific locations to suggest. 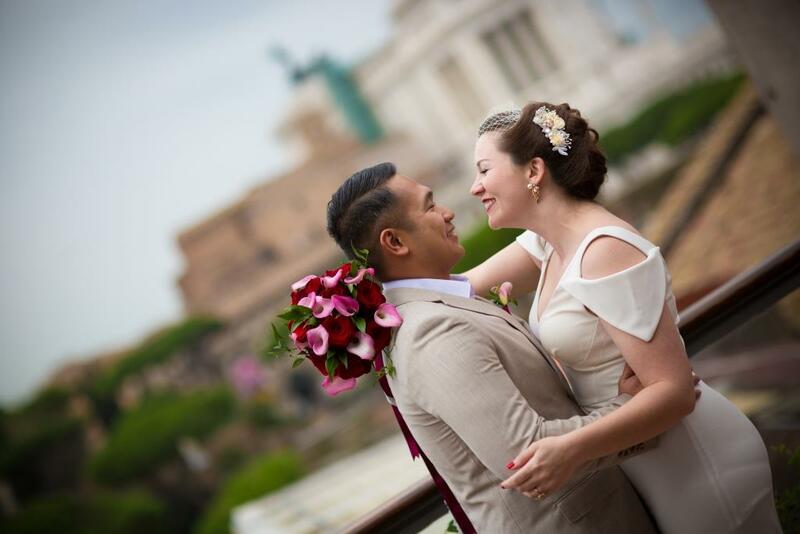 Do you want to get married on a rooftop overlooking the Eternal City in the light of the sunset? No problem, we have the right solution!! Maybe you prefer the elegance of a XVIII century residence just in the heart of Rome? 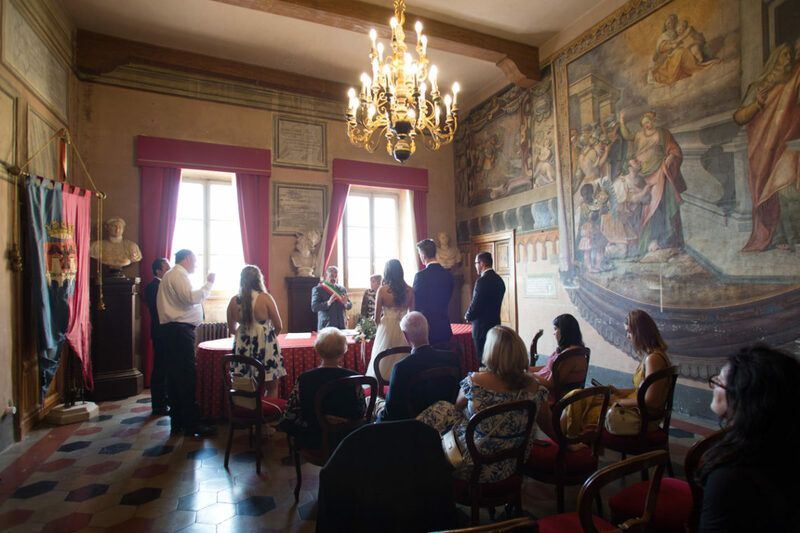 An elegant and historical villa, discreetly luxurious with refined drawing rooms furnished with genuine antiques, is the right place for your exclusive event. If you are looking for a dream location for your wedding reception, we have a villa that is the place for you. A unique place full of magic, located in the archaeological area of ​​the ancient Appia. It has all the elements necessary to satisfy your wishes and to make your dream come true: it will remain imprinted in your heart forever. It is a charming green house with luxurious salons and large glazed windows overlooking the garden. 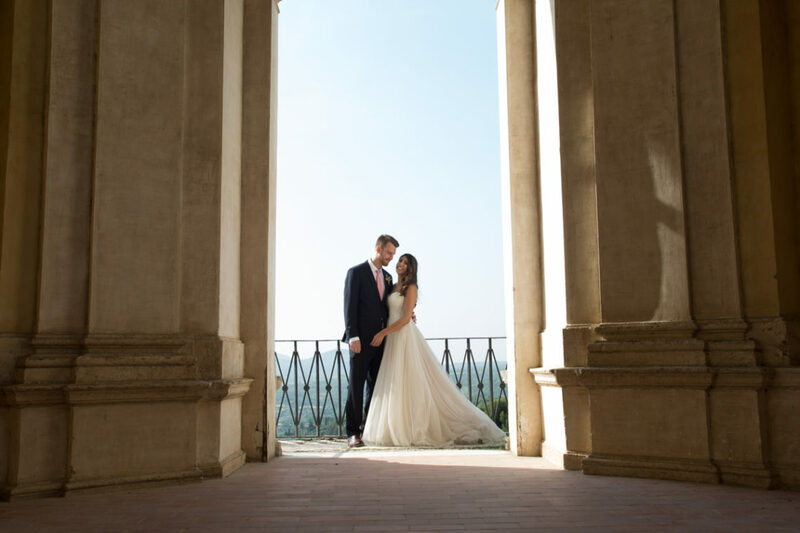 Otherwise, if you are looking for a place far away from the noises of the city, just a few steps from Castel Gandolfo, […] historic old town, near the Pope’s summer residence, there is another ideal setting for your reception. Charming atmospheres, exclusive details and one of the most beautiful scenic view of the Castelli Romani are the essential features of this location. You will feel right at home in this enchanting atmosphere which offers beautiful furnishings and a unique panorama. Here are just a few examples of what Roma offers. 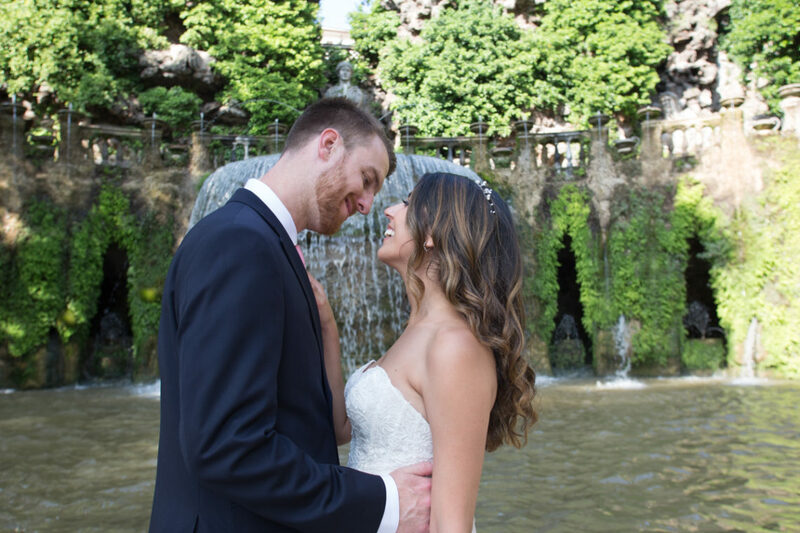 Rely on us and we’ll make your wedding a real dream.